What is car sharing? And how will it work in Malta? Wikipedia defines car sharing as a ‘short-term rental of cars’. 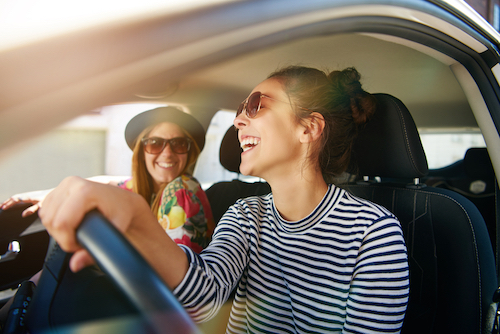 Often mistaken for carpooling, car sharing is different in that when you hire the car; it’s all yours for the time you need it. Your driving time is not shared with strangers stressing about being late. Different drivers use the same car at different times. So, you get to enjoy your music and your privacy for the whole trip. You’re the king or queen of your little electric car for as long as you want. Also, car sharing cars in Malta will be kind to the environment. Each one of these small, nifty cars is electric. As well as being kind to the environment, it will reduce the time it takes you to find a parking space. So, it will remove a few f* words from circulation, as well as save you lots of time. Before you book a car, you will need to register on the website to create an account. Then get verified as a licensed driver (not a cheeky teenager looking for a joyride). We will approve your application within 24 hours. Once your application is confirmed, just download the GoTo app and you will be able to book any car 15 minutes before using it. It’s as easy as pick up and go. The cars, easily identified because of their distinct purple thunderbolt, are also equipped with some amazing technology. They are completely key-less. You can open them using your membership card or the GoTo car sharing app on your smartphone. The great thing about hiring a shared car is that the cars are ready to pick up in your town, anytime. As such, you can use one with little notice, even when you’ve missed your bus for an important appointment. You are not likely to see one driving around the village in circles to find a spot. The cars will have more than 450 reserved car parking spaces around Malta and Gozo. The price is all inclusive, which means you will never need to worry about fuelling a car sharing car, washing it, or paying for parking. Imagine how much you would save on car insurance, road license, carwash, parking, and fuel! You could combine using a shared car with buses and make a saving in both time and money. Something to think about, right? Car sharing services have been around for decades, and we strongly believe it will have a positive impact on our roads and how we get around in Malta. Car sharing services are also common in many European cities and there is already a lot of positive research about this. It has shown that many families do not buy a second car when they are car sharing members. Some actually sell their car when they start using the service. Car sharing promises to have a positive effect on our roads and the way we get around in the long term. Do you want to be part of this positive change? Sign up for our newsletter, so that you can be the first to know once the registration is open. The first 500 people registered will get 25 free minutes to try the service.